Salary disappointment is common across employees all over the world. As per a survey by Indeed, only 19% of employees in USA are satisfied with their current pay and 60% of those surveyed would want an extra $6,000 a year to match their expectations. Only 16% of women feel comfortable with their current pay. When employees are not happy with their jobs, they are much more likely to experience stress in the job environment. And when one employee is dissatisfied it can affect other employees. Low job satisfaction, along with low employee engagement, causes a lack of productivity. This can lead to missing targets and an uneasy work environment. Compensation is one of the major ways companies attract and retain the employees. When an employee has negative feelings about his compensation, he is likely to vent about it to his co-workers, which can create a disruptive, if not negative, work environment. 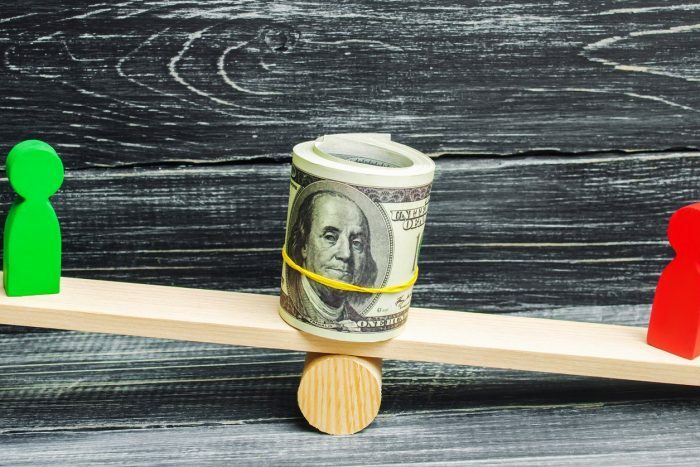 While HR compensation managers may devote many hours to fine-tuning job descriptions, pay bands and career ladders, it can all go to waste if employees believe that they are being paid less than they deserve. When that happens, the organization may experience high employee turnover, leading to a costly and lengthy process of finding and hiring replacements. Human resources leaders therefore need to ensure that each employee be treated fairly when it comes to compensation. When an employee raises concerns with their pay, managers must deal with the employee’s discontent directly. They need to be able to explain the company’s pay policy and be able to justify the employee’s pay level. If the employee comes to understand how pay is determined, he may be less likely to vent his grievance to other employees and consequently turn the workplace environment damaging. Few managers, however, receive any training on how to have a compensation conversation. They may not know themselves how the pay levels were determined and they may be unsure how much information to share. Before these conversations occur, it’s important that HR work with managers to arm them with the data so they can clearly explain the process. Even then, an employee may remain unmoved, insisting their performance warrants a pay raise or complaining that they do the same work as others who are paid more. These discussions are especially sensitive became pay is an emotional and not just a financial issue. So come prepared to discuss not only the company pay policy, but the employee’s individual situation. Explain to them how the firm came to its salary verdict and what steps they can take, if anything, to earn a bonus or salary increase. However, this is not the time for a performance review, even though too many of the annual review sessions are inextricably tied to pay. Taking notes during this conversation not only makes a record of what the two of you talked about and any follow-up, it also will help you advocate with HR should you find the employee makes a compelling case for a pay rate change. Plus, it signals to the employee that you are taking them seriously. Where more money is not an option, there may be attractive alternatives you can offer, for example, working from home on occasion, or a flexible schedule or a development program or even opportunities to take on high profile projects that will enhance his career potential. One important way to reduce these uncomfortable conversations is to adopt a policy of pay transparency. An increasing number of organizations publish the norms and method used to determine pay and merit increases or bonuses along with the pay range for various positions. A few publish individual salaries on their intranet. While you may not be willing to go that far, publishing the criteria and formula provides justification and a goal and heads off misunderstandings. Job value — Each job is assigned a pay grade, based on the job description and the analysis of industry pay rates for similar jobs. Additional consideration may be given for jobs with hard to find skills and/or the job’s overall value to achieving the goals of the department. Individual value — The value the individual brings to the job based on their skills and experience. Less skilled and experienced workers should be paid lower in the range, while more skilled and experienced applicants would be paid higher in the range, though not necessarily above the mid-point or at the max. In some cases, paying above the range may be justified. Internal equity – Conduct a thorough salary review of current employees (by role, department and office) to ensure internal equity, especially gender equity, among workers doing the same or essentially similar work. This is becoming increasingly critical as governments adopt pay equity laws. Discuss and defend the distribution of employees’ raises in a peer group setting. Pay increases or bonuses should be based on annually established goals for threshold, target and maximum. These calibration sessions take place among managers across business units with HR facilitating the discussion. The review forces managers to set realistic goals with their staff and support increases with observable results. Having an open discussion about pay increases should surface if one unit or one demographic is getting too small a portion of the pie. If there are factors that support a business unit having a skewed distribution, then pay can be allocated accordingly. As part of this process, managers should also be held accountable for how the members of their team are developing.